A staggering bit of information contained in the U.S. Department of Justice's investigation into the Ferguson Police Department has generated quite a stir in recent weeks. The report found that in Ferguson, Missouri, a small city with a population of just 21,000, more than 16,000 people had outstanding arrest warrants issued by the court as of December 2014. But most of those warrants had nothing to do with criminal behavior. Instead, "the primary role of warrants is not to protect public safety but rather to facilitate fine collection … The warrants issued by the court are overwhelmingly issued in non-criminal traffic cases that would not themselves result in a penalty of imprisonment," the DOJ report found. The information was presented in the context of demonstrating a pattern of racial bias in policing in the city where unarmed African-American teenager Michael Brown was killed in a police encounter last August. But there's a key point here that extends well beyond the boundaries of Ferguson: Court fees relating to traffic violations can make a serious mess of an individual's life if they simply don't have the money to pay. "Last Week Tonight" host John Oliver picked up on the issue of warrants being issued over traffic tickets and ran with it in a segment that aired a couple weeks ago. It also came up during the March 31 San Francisco Board of Supervisors' meeting, when Supervisor John Avalos called for a hearing to examine how driver's license suspensions can disproportionately impact low-income residents in San Francisco. "What are the systems that we have in place in our different departments and in the justice system that actually lead to licenses being suspended?" Avalos asked. To find out, he's called on city departments to provide data relating to driver's license suspensions as a first step toward finding ways to lessen unnecessary financial burdens at the local level. "A person has to pay a lot of money to get that driver's license back," Avalos pointed out. "If you're low-income and don't have a job, that presents a real barrier to making positive changes." As it turns out, civil rights advocates in California have been working on changing state law around driver's license suspensions for years, characterizing it as a racial and economic justice issue that effectively bars low-income drivers from escaping poverty. "The issue was really apparent in 2011 and has only increased in severity," Desautels said. Despite widespread support in policy committees, Desautels said, "The holdup is in the fiscal committees." In February, in coordination with the Lawyers Committee and several other organizations, Sen. Robert M. Hertzberg (D-Van Nuys) introduced SB 405, placeholder legislation for another bid at legislative reform to reduce the number drivers' license suspensions. According to the text of that bill, over the course of five years there were suspensions of "more than 2.7 million driver's licenses for drivers' failure to appear in court or failure to make payments ordered by a court," reasons that have nothing to do with public safety. At this point she said data has shown that from 2008 to 2013, "There have been over 500,000 suspensions each year," but there were only around 10,000 license reinstatements in each of those years, she added. The Lawyers Committee started advocacy work on this issue several years ago after encountering so many clients who faced major barriers to employment and other problems stemming from unpaid traffic violations that had spiraled into driver's license suspensions. "I've multiple clients tell me, 'if only I could be arrested and get my fines cleared, I'd do it,'" Desautels said. "It's like a sentence to poverty." "Consider the case of 'Maria A.,' a single mother in San Francisco who until recently had been supporting her family by working in construction, a job that requires a driver’s license. When she received three traffic tickets, she was unable to pay them immediately since she was using her limited income to feed and clothe her two children. As a result, the San Francisco traffic court ordered her driver’s license suspended and placed her in the ultimate Catch-22: She must pay off her entire debt before the court will reinstate her license. But without her license, her employer won’t hire her back, so she has no way of paying off her debt. Nor will the court allow her to perform community service, since her debt has been sent to collections. In fact, she cannot even go before a judge to request any kind of common-sense solution to this vicious cycle; unless she posts bail for the full amount she owes, the court will not even schedule her matter." 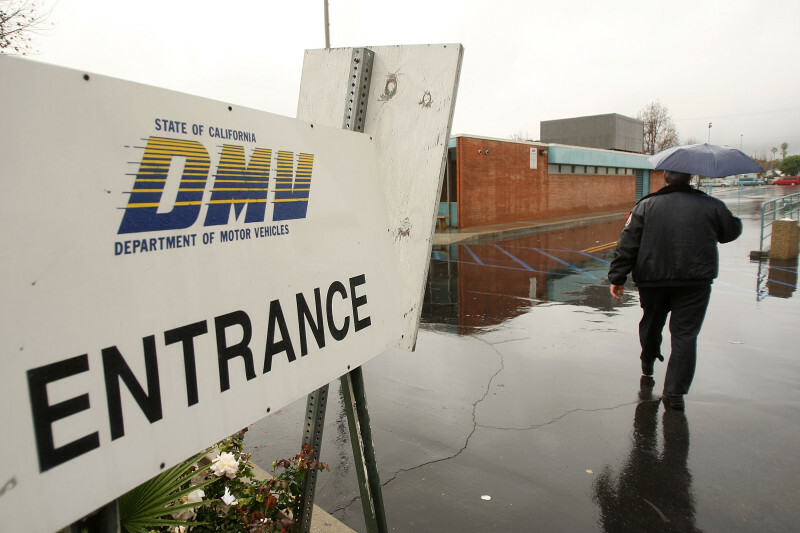 In California, warrants are in fact issued for uncollected fines and failure to appear stemming from traffic infractions, Desautels said, but most often don't trigger arrests unless the fines are above $7,500. However, the larger issue of driver's license suspensions can send low-income motorists into a vicious cycle. Next week, the Lawyers Committee and partnering organizations will release a full report on California traffic courts and license suspensions. At the same time, according to Hertzberg's communications director, Ray Sotero, the senator will announce a renewed push for reform and hopes for a different outcome now that there is greater awareness of the problem.